Commuting with Uber is both trendy and convenient now, so chances are that you have tried it by now. But with frequency of rides comes the increased chance of an accident. If you were injured in an Uber accident, your life will become complicated - mainly because of the complicated insurance issues at the beginning. Being injured in an Uber and Lyft accident in Fort Myers puts you in the position of finding the best Uber accident lawyers in Fort Myers. If you were in a Lyft vehicle, then you would likewise need to best Fort Myers Lyft accident attorney. It makes sense - the decisions you make as to legal representation can make a significant difference in the results you ultimately achieve. At the Wolfson Law Firm, our bilingual Uber and Lyft accident lawyers in Fort Myers have helped many good folks from Florida get fair compensation for the injuries sustained in Uber and Lyft accidents, and are at your service in Fort Myers for 24 hours a day, seven days a week. You can reach us at 239-777-9954 for free and confidential consultations. "Who is the Best Uber Accident Lawyer in Fort Myers for me?" Don't trust the advertising. When you see a lawyer on a TV commercial or a billboard, it doesn't mean that the lawyer is good. It just means that he or she has invested in advertising. Instead, you should search online and check out the Google search results and reviews. Google will give you the most relevant results for your search. If you are interested in the best Fort Myers Uber and Lyft accident lawyers, check out the results and the recommendations that come with them. Make sure that your lawyer has the necessary expertise. If you need a lawyer because you have suffered a personal injury, then seek for lawyer who has specialized in personal injury cases. You don't want to be the first injury client of a lawyer. No one wants to be the surgeon's first patient. Don't let them learn the business from your case. Instead, ask for the lawyer's track record of cases like yours. Check out layer's location. Make sure that he serves your area, but also check out if his office is close to you. If your injuries don't allow you move around easily, this can be an important issue. Consider why the lawyer want to represent you. Does he listen to you carefully? Does he understand the situation your injuries have put you in? If you've been led to the lawyer by an ambulance chaser or runner, you should know that they have used you to make money. They are not good strangers who help people. Consider if the lawyer is always available to you. The relationship between an attorney and a client is based on trust. Lawyers have certain obligations to fulfil. Their clients hire them because they are in difficult life situations. Hence, they should be available for a phone call, text, email or a visit anytime, according to the client needs. 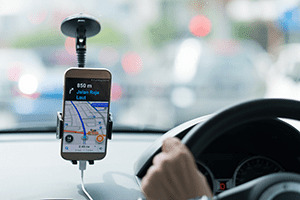 If you have been injured in a Fort Myers Uber or Lyft accident, you can call 239-777-9954 to reach the Fort Myers Uber accident attorneys and Lyft accident lawyers at the Wolfson Law Firm for assistance. We are available for our clients 24/7 and our law firm is solely focused on personal injuries. We have served our clients since 1963 and we are here to help you as well. The Wolfson Law Firm is positioned at 3049 Cleveland Ave #140, Fort Myers, FL 33901. In Lee County we are available to the towns of Fort Myers, Cape Coral, Pine Island, San Marcos Island, Bonita Beach, Captiva, Estero Island, Estero Sanibel, Fort Myers Beach, and Lehigh Acres and throughout Southwest Florida.